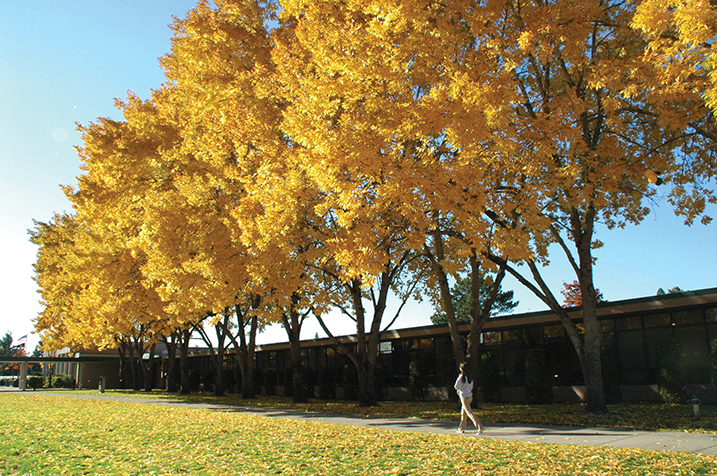 Jesuit High School, located in Portland, Oregon, was founded in 1956 by the Society of Jesus and is part of a 450-year Jesuit educational tradition. Jesuit High School is a non-profit, coeducational college-preparatory school for grades 9-12 that serves students of all religious faiths. Jesuit's curriculum is founded in the educational philosophy of Jesuit founder, St. Ignatius of Loyola, and takes a holistic view of adolescent education, which includes nurturing the spiritual, physical, emotional, intellectual, and aesthetic gifts each student brings to campus. Jesuit hopes to accomplish this development by demonstrating a personal concern for individuals, an articulate wisdom, enthusiasm, and a sense of community. In so doing, we hope to graduate leaders who are committed to serve God and their fellow men and women through a profound sense of justice founded in love, i.e. leaders who are "men and women for others." The operation of Jesuit High School is overseen by a Board of Trustees.The board ensures and provides the spiritual tone and direction of the school, consistent with the purposes and traditions of Roman Catholic and Jesuit education. The board also monitors Jesuit High School's business affairs. Jesuit High School is fully accreditated by AdvancEd. What Makes a Jesuit High School Jesuit? Read this document from the Society of Jesus, our sponsoring organization. Age Quod Agis - "Do Well Whatever You Do"
On the school I love and its Jesuit shield. Age Quod Agis for our green and gold. With the Cross in our sight guiding all that we do. Jesuit High School admits students of any race, color, national and ethnic origin to all the rights, privileges, programs and activities generally accorded or made available to all schools. It does not discriminate on the basis of race, color, national and ethnic origin or disability which can be reasonably accommodated in administration of its educational policies, admissions policies, financial aid programs and athletic and other school administered programs.